We’ve known for a while that Samsung is working on a new Tizen smartwatch, and recent reports indicated that it could hit the market as Samsung Galaxy Sport. 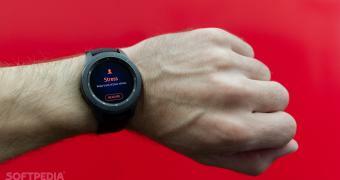 This moniker pretty much made sense given the fact that it was supposed to be a successor to the Samsung Gear Sport, but according to new findings, the South Korean firm could eventually call it Samsung Galaxy Watch Active. Evidence discovered in firmware files reveals that the smartwatch is called pulse and it uses model number SM-R500. As XDA notes, this model number is more or less odd given that its predecessor was known as SM-R600, however the existing data is solid enough to believe this is the upcoming Samsung smartwatch.